Call 133: Sorry I kept you waiting. Oboro, defeated by Grana, informs Ageha that Amagi is planning something and needs to be stopped before it’s too late. Grana isn’t going to let Ageha go and stop Amagi without a fight. He’s been waiting for the moment to come when he would be able to defeat Ageha, the black burst user. 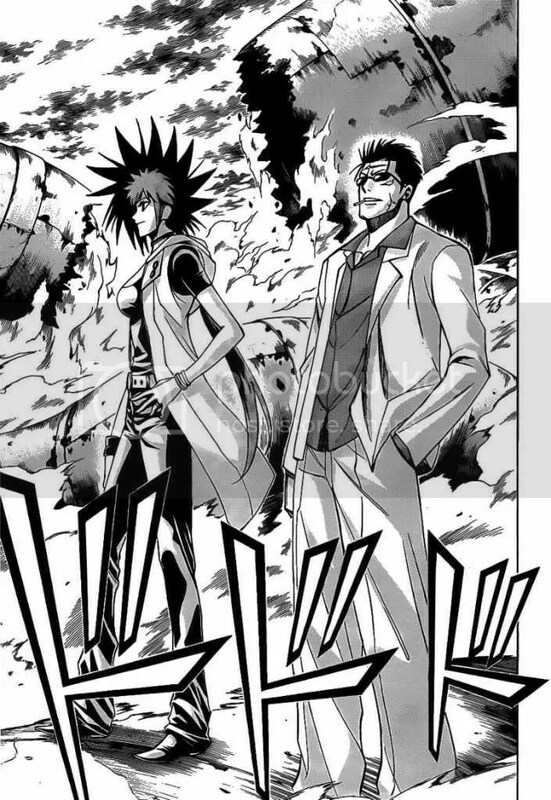 Masturi and Kagetora appear. I figured that these two were the future versions but they’re actually versions from the present that’s used the calling cards to travel to the future. Kagetora gets an unused card that Matsuri had found. Matsuri’s card had gone from 00 to 01 which means that she’s given a chance and is able to use the card once more. It’s revealed that the twin sister of Amagi put Matsuri ‘back into the game’ because Ageha once saved her. 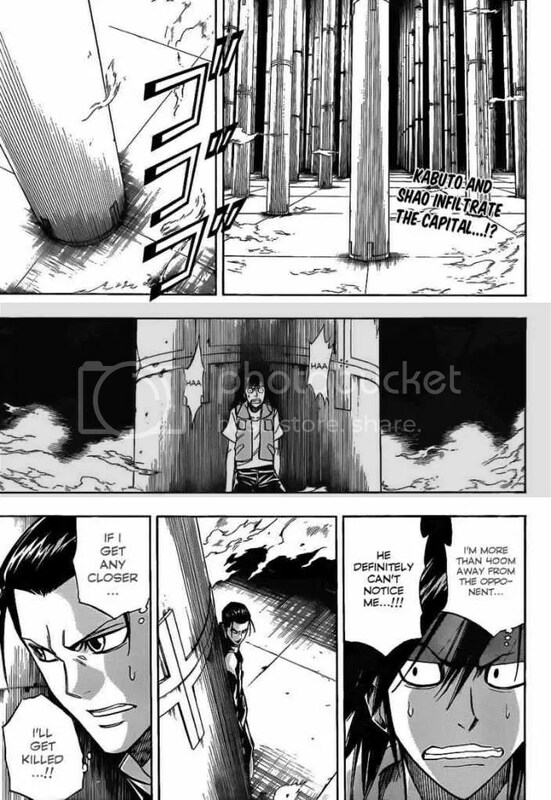 Ahah, Kagetora didn’t even listen to Matsuri’s explanations and just wanted to use it right away. LOL, I thought this part was adorable and cute of Kagetora. He even called her stupid, bwahah. I didn’t expect for her to blush but she did, unwillingly. 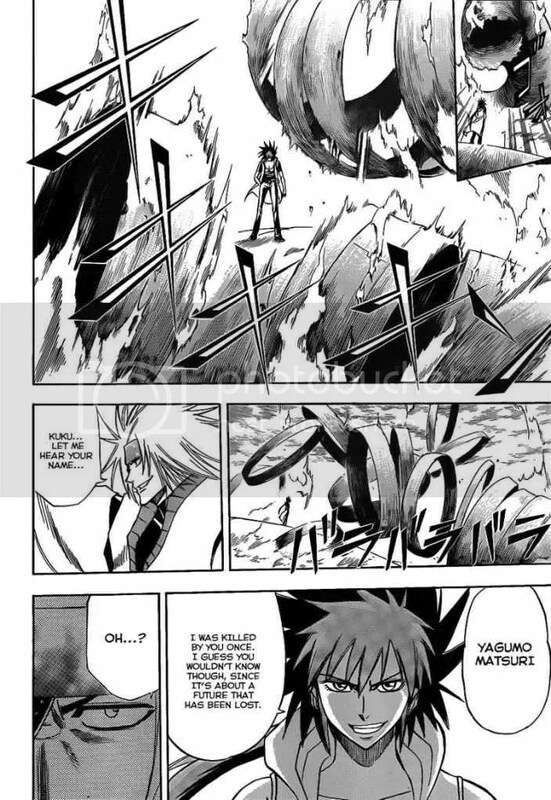 Matsuri once fought Grana in another future and she got killed by him. To prevent the same outcome from happening again, she’s going all out from the get-go. This is getting me so excited and pumped. Kagetora is up against Junas. 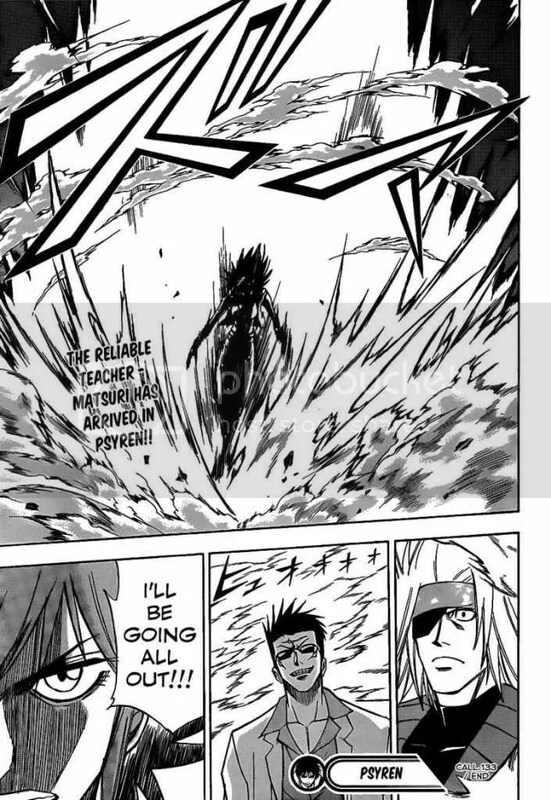 I didn’t think Grana would be shocked to see Matsuri going all out but I guess he was underestimating her. Leaving Grana to Matsuri and Junas to Kagetora, Ageha and Amamiya will head for Amagi Miroku. 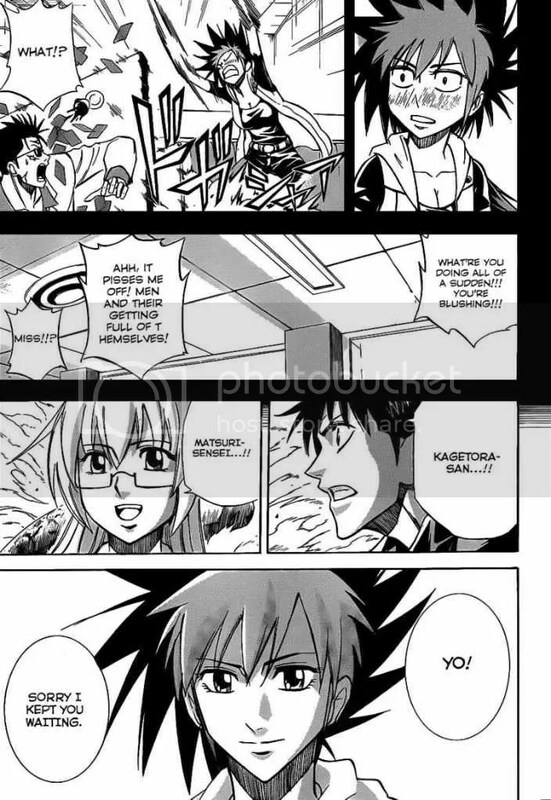 Will Shao and Kabuto engage in a battle against Amagi Miroku before Ageha and Amamiya get there? 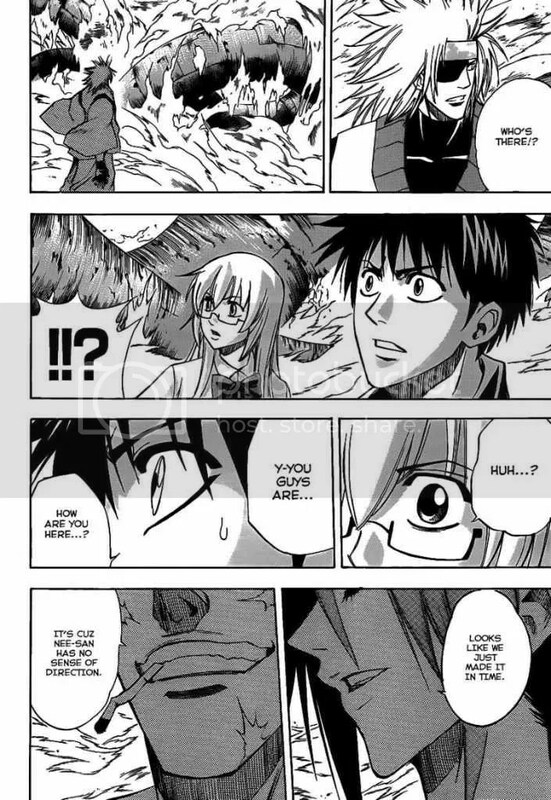 I hope not because they probably wouldn’t survive with their current level of strength; well, maybe Kabuto, since he can sense death, he might be able to survive against Amagi. 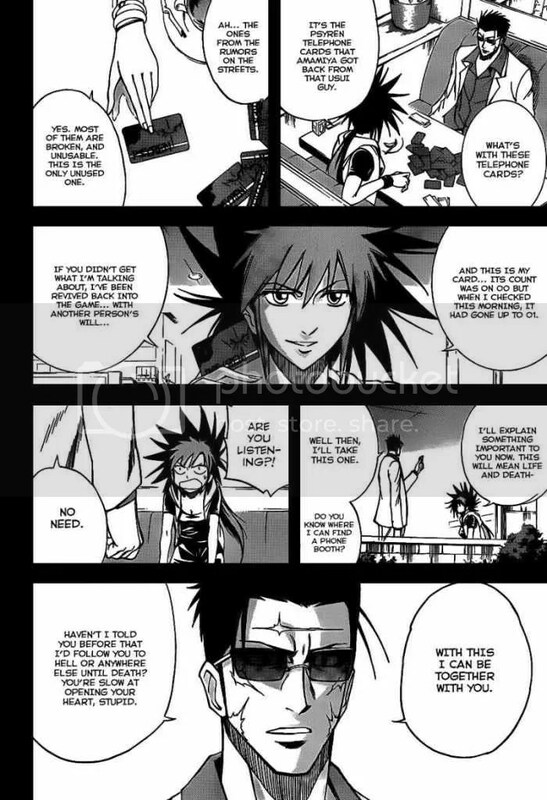 This entry was posted in Manga, Psyren, Reading Right Now and tagged action. Bookmark the permalink.